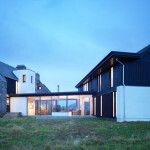 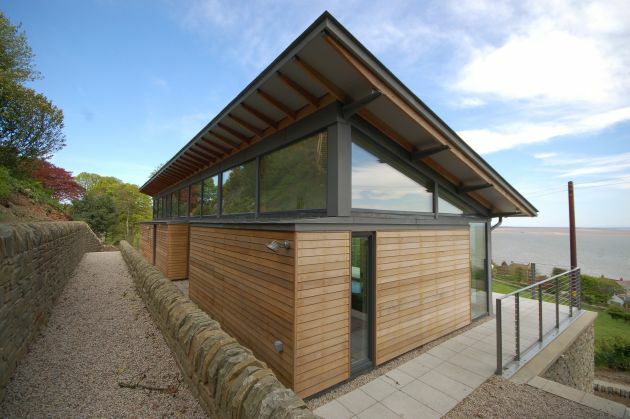 Simon Winstanley Architects have completed the Deepstone house in south west Scotland. 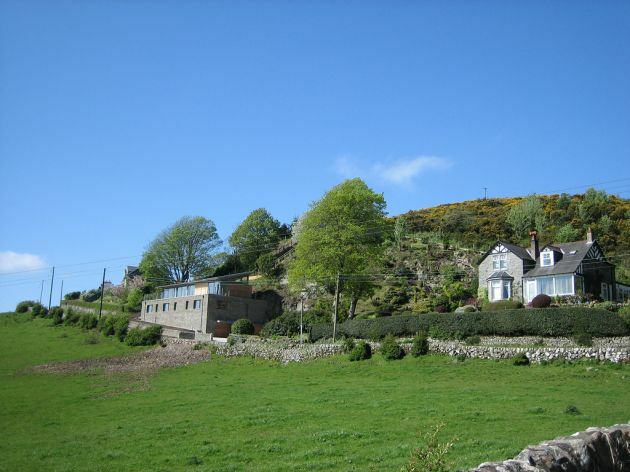 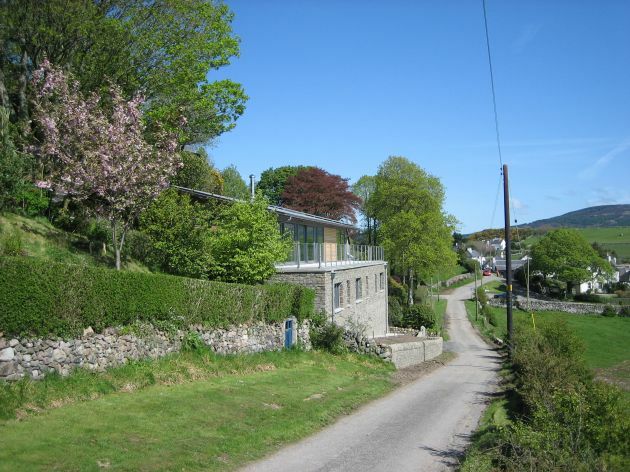 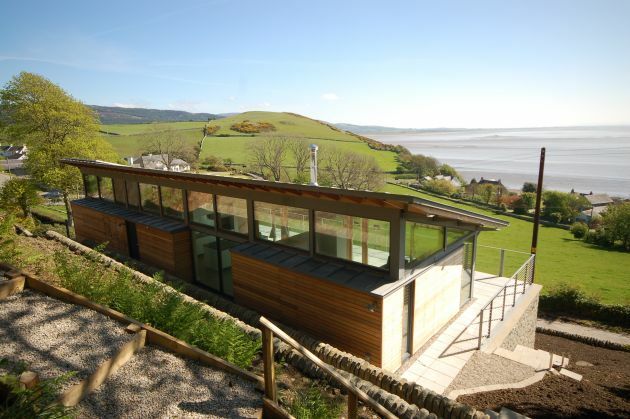 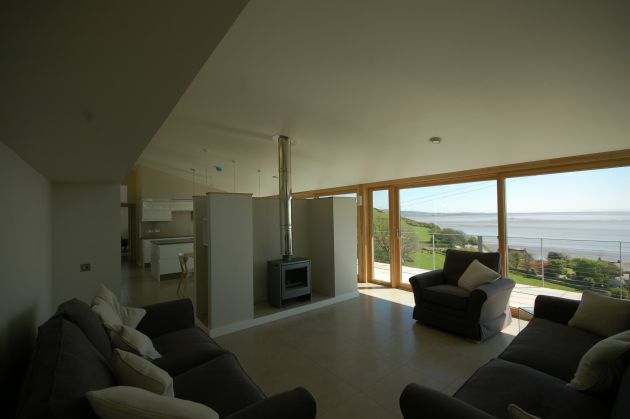 The house is located on a spectacular site overlooking the Solway Firth in south west Scotland. 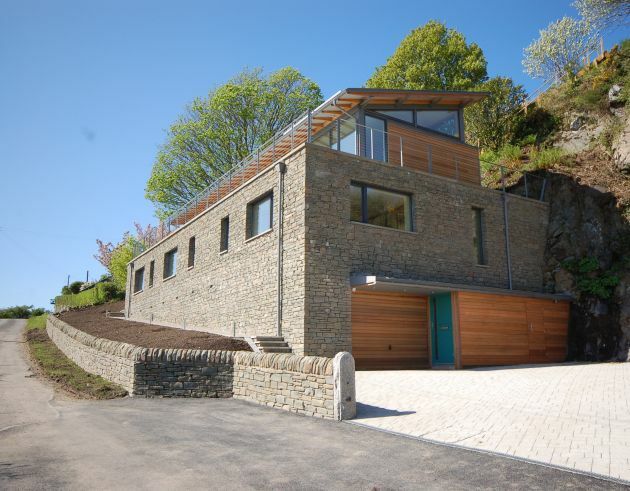 The site is a steeply sloping, former quarry in a National Scenic Area which slopes steeply in two directions from the quarry base which forms the only level ground access. 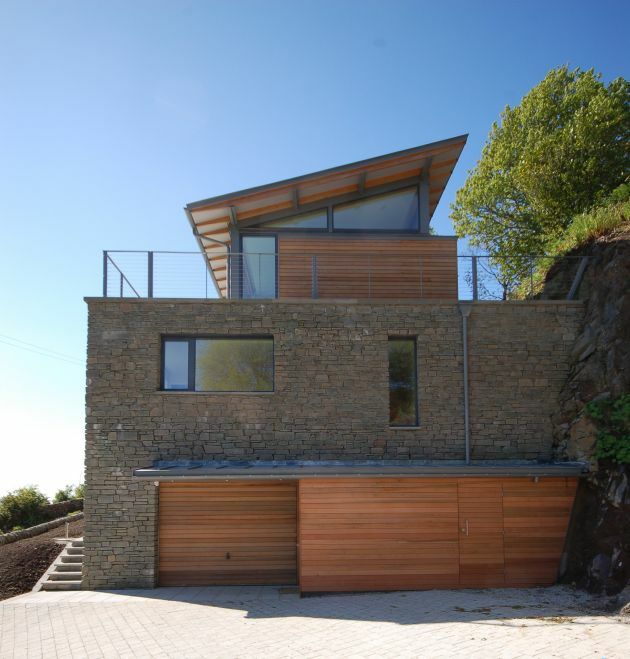 The house is conceived as a stone plinth which echos the exposed quarry face and houses the bedrooms with a garage & entrance under at the level of the quarry base. 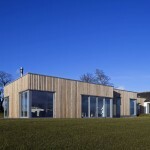 The principal living accommodation is expressed as a lightweight glazed ‘pavilion’ sitting on the solid plinth. 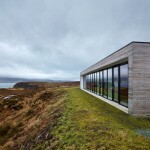 It is set back to form an external terrace facing the sea and to reduce the apparent mass of the house. 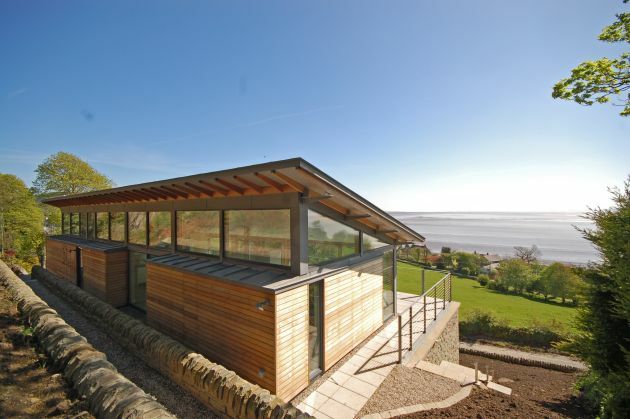 The glazed pavilion is constructed with a steel frame and highly insulated timber infill panels clad in cedar and triple glazed windows. 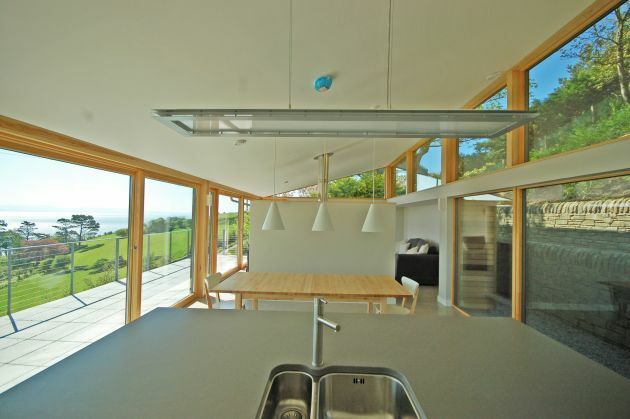 The roof, although thick internally to provide very high levels of insulation, is cantilevered on all sides with projecting expressed douglas fir rafters to give a thin, elegant leading edge. 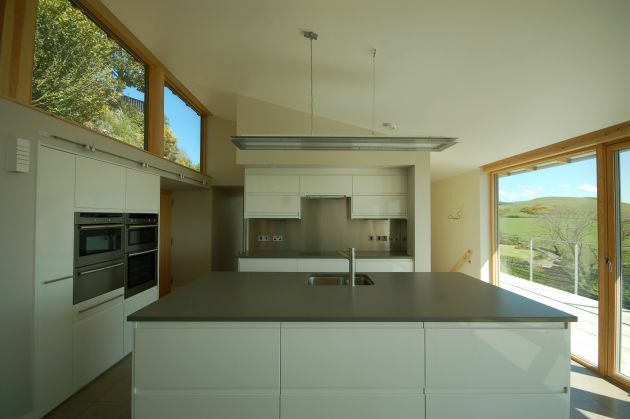 The roof is finished in standing seem pre-fabricated grey zinc. 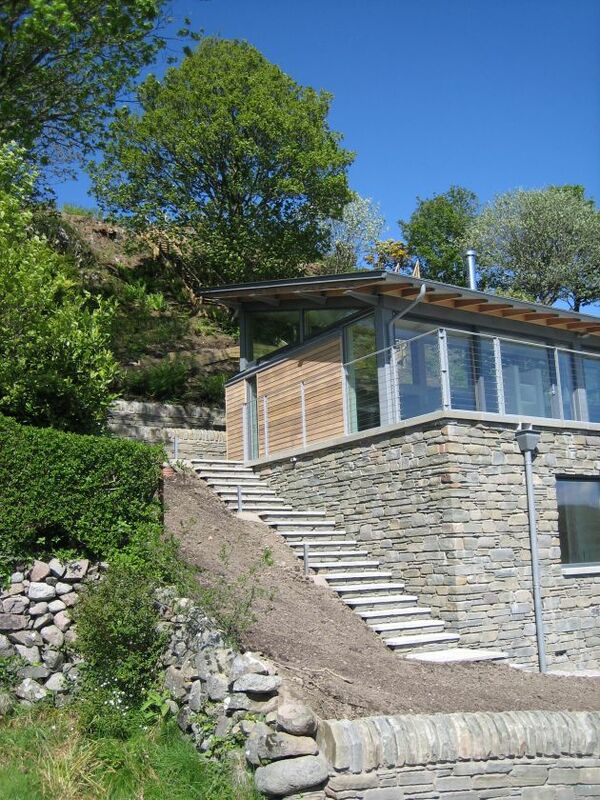 The masonry base is finished in stone from re-cycled quarry waste. 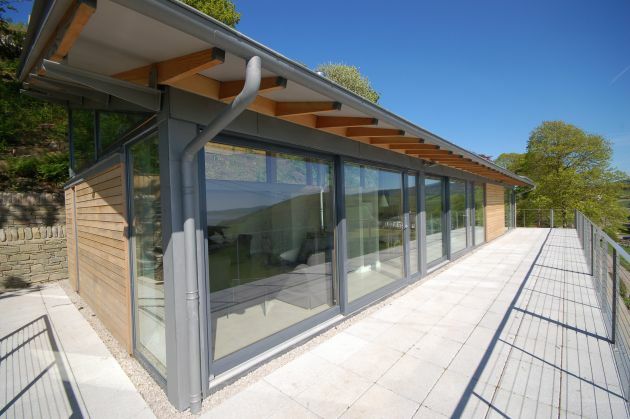 • the external walls, floor and roof are insulated to a high standard and air infiltration is minimised. 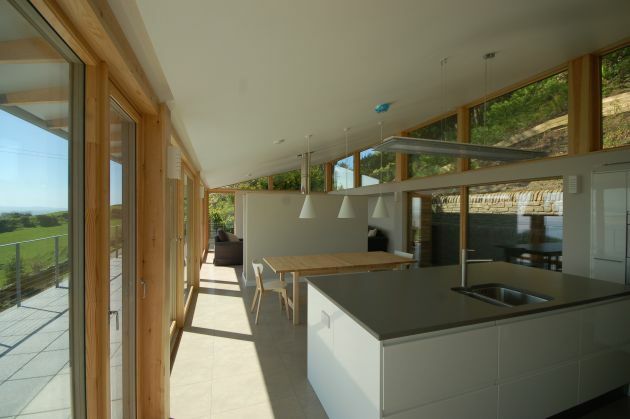 • triple glazed windows with warm edge spacer bars, thermally broken frames and inert gas filled to achieve a whole window u-value of 0.7W/m2K. 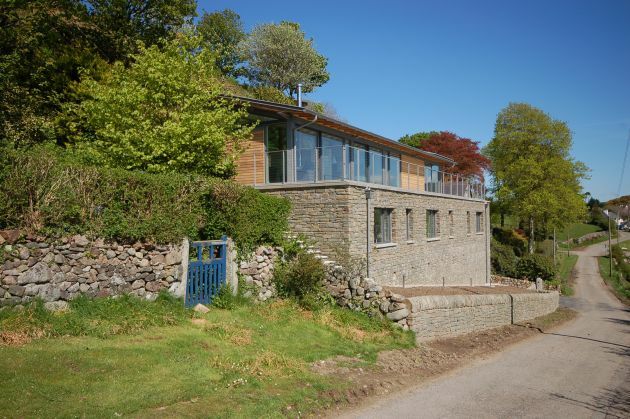 • heat pump using a borehole as the ground source for the underfloor heating and hot water system with a closed combustion wood burning stove as back up. 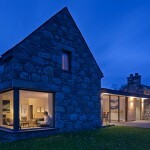 • micro generation of renewable electricity using roof mounted Photovoltaic Panels. 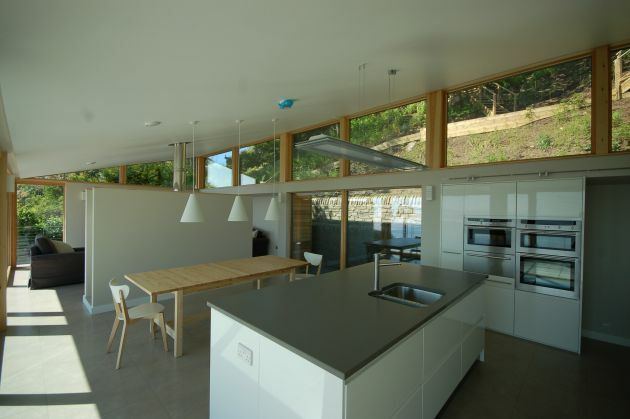 • whole house heat recovery ventilation system. 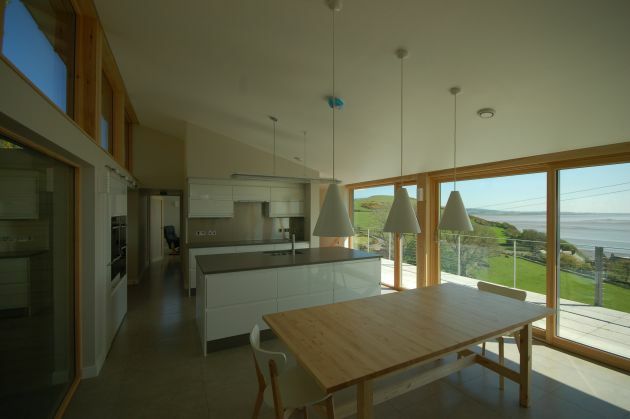 The design met the client’s brief for a contemporary, energy efficient home which fully embraces the view and relates to the surrounding context and landscape. 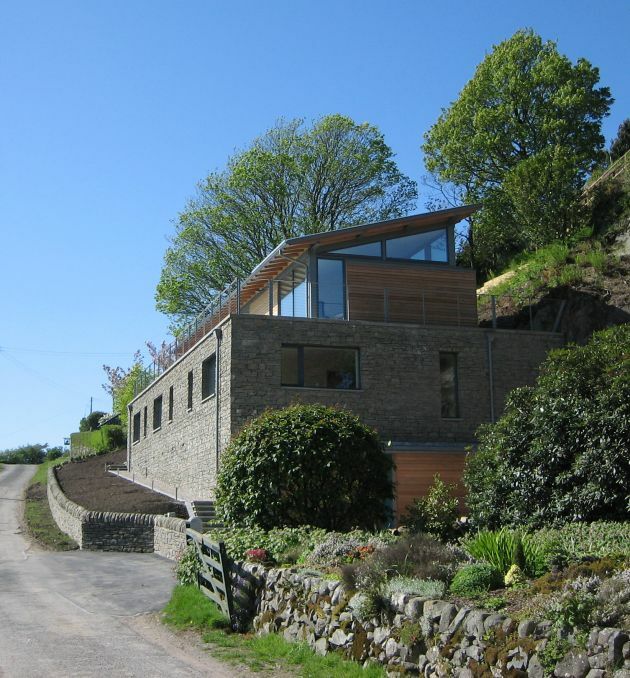 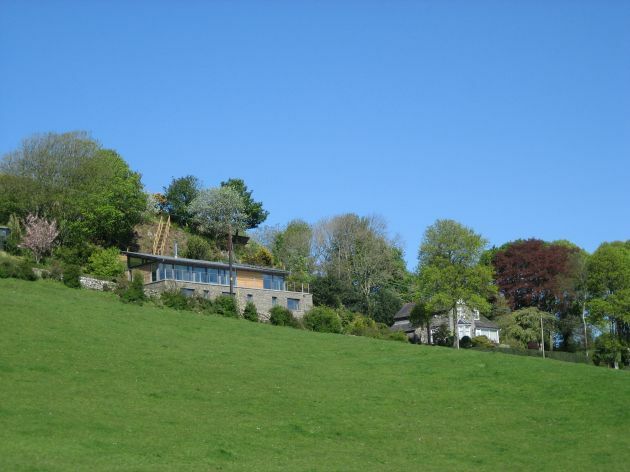 Visit the website of Simon Winstanley Architects – here.